We founded Circle of Hope in a ripe moment of history and the outcome has been beautiful. A few weeks into the process, we sat in a small circle discussing what our name would be. We ended up with several versions of a name with “hope” in it. But some people did not like any of those versions. A few people (and in a circle of ten, a few is relevant!) thought it was just too much to put “hope” right out there in the church’s name. Maybe they were right to be cautious. Regardless, they were certainly representative of many people who were not in the room yet, since many people think hope is far-fetched, even dangerous—mainly because they think it is something tied to outcome. If you are a circle of hope, you invite expectations that might not be met. So many people are laboring under all the “outcomes” required of them, and under all the “outcomes” that were promised and did not happen. For most people, “hope” is optimistic feeling, or at least a willingness to go on, because we sense things are going to get better. But is that sense about worn out these days? 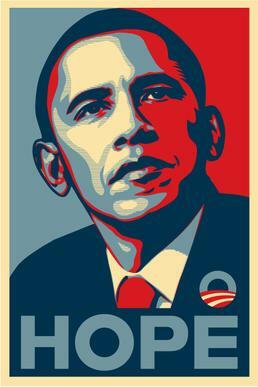 What if you put “hope” right out there on your poster, like President Obama did, and then everything does not get better like you promised? What if you imply that Jesus is going to get you a job, provide a mate, and cure your cancer, and it does not happen? Won’t the name of your church just point out the fact that it did not happen? Mystical hope is not tied to a good outcome, to the future. It lives a life of its own, seemingly without reference to external circumstances and conditions. This kind of hope has something to do with presence—not a future good outcome, but the immediate experience of being met, held in communion, by someone intimately at hand. This hope bears fruit within us at the psychological level in the sensations of strength, joy, and satisfaction: and “unbearable lightness of being.” But mysteriously, rather than deriving these gifts from outward expectations being met, it produces them from within. I said a lot about Cynthia Bourgeault’s book on my blog. But for now, let me end with a quote that speaks back to twentysomethings who feel that their future is bleak and to parents who feel their children are hopeless cases, as well as to men and women who feel isolated and friendless, stuck in some pattern that feels hopeless. There is something deeper than your situation. Hope is not intended to be an extraordinary infusion, but an abiding state of being. We lose sight of the invitation—and in fact , our responsibility, as stewards of creation—to develop a conscious and permanent connection to the wellspring. We miss the call to become a vessel, to become a chalice into which this divine energy can pour; a lamp through which is can shine. But what if we are intended to become this vessel, this body of hope? What if, in fact, this effervescent, “lightness-of-being” energy is the fuel that drives our human life toward its divine fulfillment? What if our insistence on treating it as a rare and exceptional phenomenon is a way of ducking the invitation that was permanently extended at the Samaritan well that blazing midday? The journey to the wellspring, the secret of Jesus, the Master of Galilee, is the great inner journey to which we Christians are called. I am glad we put hope right out there in the name of our expression of the Church. It almost dares people not to meet Jesus. On the one hand, God has produced outcomes that are far greater than we imagined as we sat in a little circle of ten in my living room. We hoped good things would happen—and even more than we hoped happened! So that’s great. But what about all that did not happen? What sustained us when we failed, broke up, died, lost faith, were betrayed and confused? It was that mystical hope, that turning toward the living water that energizes us to get up and follow Jesus.